Al-Aqsa Foundation for Endowment and Heritage said in a statement on Wednesday that a group of settlers who support the MK Moshe Feiglin called for storming the Al-Aqsa Mosque on Thursday morning. The Foundation called on Palestinian worshipers to flock to Al-Aqsa Mosque and intensify their presence inside it, in order to protect and defend it. It added in its statement: "The group describes itself as supporters of Feiglin and his positions regarding the raids on Al-Aqsa and the construction of the alleged temple. 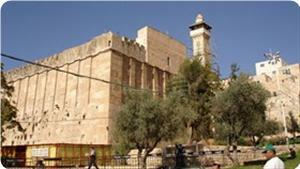 They published a leaflet on web pages calling for storming the Al-Aqsa Mosque on Thursday at 7:45 am." Al-Aqsa Foundation pointed out that the settlers intend to perform Jewish prayers in front of the Mosque, and that Moshe Feiglin will deliver a speech before the raid. It asserted in its statement that Al-Aqsa Mosque belongs to the Muslims, and that these raids and attacks on it will never give legitimacy to occupation. It's worth mentioning that 'Price tag' refers to the strategy that extremist settlers and their supporters have adopted to attack Palestinians and their properties. 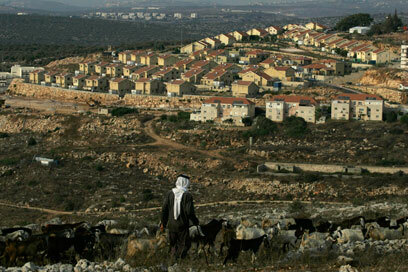 According to settlers, 'price tag' is to avenge Palestinian attacks on Jews and for settlement freezes and demolitions. 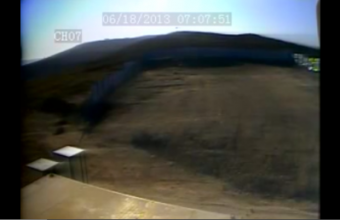 Several price tag attacks in recent months also have targeted Muslim and Christian holy sites. A little boy was hospitalized after being beaten by an ultra-Orthodox Jew for riding his bicycle on Friday afternoon close to Shabbat, according to hospital officials in Israel. The incident happened when a boy, 7, drove his bicycle on Rav Hai Gaon Street in the Israeli city of Bnei Brak Friday evening. The Israeli city of Bnei Brak is heavily populated by ultra-Orthodox Jews. The man, who erroneously believed that the boy is desecrating Shabbat, began shouting Shabbat, hit the child in the head and pushed the child. The boy fell off his bike and was injured. Passerby alerted United Hatzalah rescue workers, who arrived at the scene shortly thereafter to treat the injured child. The emergency rescue workers determined that the child was suffering from a broken hand and from head trauma. A Magen David Adom ambulance took the child to Tel Hashomer Hospital in the Israeli city of Tel Aviv. Zeevi Tepper of United Hatzalah of Bnei Brak said: "I received a call about fifteen minutes after candle lighting time and way before sunset. I rushed over to the scene and I saw the child lying in the road while complaining of pain in his hand and head. The child said that a man shouted at him, and punched him. 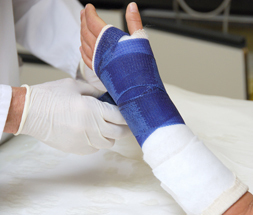 As a result of the beating the child fell and was injured. While I was administering first aid treatment to the child, the frightened parents arrived. A Magen David Adom ambulance took them all to the hospital in Tel Aviv." Jewish settlers carried out excavations at the entrance of the Ibrahimi mosque to bring in electricity as part of the Israeli Judaization policy in the Ibrahimi mosque in al-Khalil under Israeli forces' protection. Waqf Department confirmed that the Israeli settlers stormed the Ibrahimi mosque and started digging in an effort to bring electricity into the area. The Ibrahimi mosque has been witnessing an Israeli escalation in Judaization plans where Palestinian worshipers are prevented from entering the mosque in particular times while the Israeli settlers are allowed to enter the mosque without restrictions. Meanwhile, the Israeli occupation forces closed on Saturday a street in Dura town southern al-Khalil for alleged security reasons. The IOF soldiers closed the iron gate near Njihut settlement built on Palestinian lands southern al-Khalil and prevented thousands of Palestinians from passing through the street under the pretext of protecting dozens of settlers living in the settlement, eyewitnesses said. The street is used by Palestinian residents living in 40 villages. The street is frequently closed by Israeli forces at similar pretexts. Human rights group B'Tselem published a footage obtained from a security camera in the Palestinian village of Asira al-Qibliya, located near a Jewish settlement in the West Bank, featuring a group of settlers setting fire to a storeroom and fleeing the scene. B'Tselem said that the shed contained building material meant for the construction of a water tower between the settlement of Yitzhar and the Palestinian village. 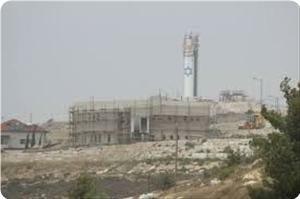 It's worth noting that as a prelude to seize the land for settlement expansion purposes, settlers of Yitzhar are opposed to the construction of water tower. 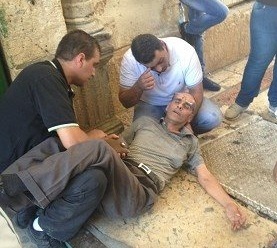 An extremist settler Wednesday severely beat one of the guards of al-Aqsa mosque in Jerusalem after preventing the settler from entering the mosque, according to witnesses. They said that the settler beat up the guard under the watchful eyes of Israeli police who did nothing to stop the settler. An Israeli extremist on Wednesday assaulted a guard at the Al-Aqsa Mosque compound after dozens of Jewish worshipers entered the Islamic holy site. Muwafaq Hamami was trying to stop an Israeli extremist taking photos of women at the compound when the Israeli hit him and knocked him unconscious, witnesses told Ma'an. Hamami was taken to Hadassah Medical Center for treatment. 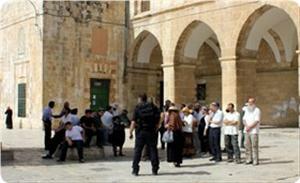 Dozens of Israelis entered the Al-Aqsa Mosque on Wednesday. Four Israelis started to perform Jewish prayers on leaving the compound, and Muslim worshipers tried to stop them, leading to further clashes. Sheikh Azzam al-Khatib condemned the incidents as "very dangerous" and called on Israeli police to stop Jewish worshipers entering the compound without clearance from the Islamic endowment department. The Factional Coordination Committee (FCC) in Nablus called to escalate resistance in the city in order to address the settlers' continued assaults against Palestinians and their properties. The committee also called for broad participation in solidarity events in support of Palestinian prisoners particularly the hunger strikers. The committee considered the ongoing settlers' attacks against the unarmed Palestinian citizens as attacks carried out by organized crime groups protected by the Israeli army. The settlers' attacks came in the framework of the exchange of roles between settlers and Israeli forces, the committee pointed. The escalation of settlers' attacks against Palestinians and their properties, the displacement of Jerusalemites, the ongoing confiscation of Jerusalemite houses, the uprooting of hundreds of olive trees in Nablus, the systematic displacement policy in the Jordan Valley and West Bank cities, and the construction of thousands of housing units are all practiced by settlers under the protection of the Israeli extreme right-wing government, the committee explained. The FCC called for an end to the Palestinian division to respond to the Israeli settlers and forces' brutal practices, condemning the PA indifference to the citizens' economic and social problems. 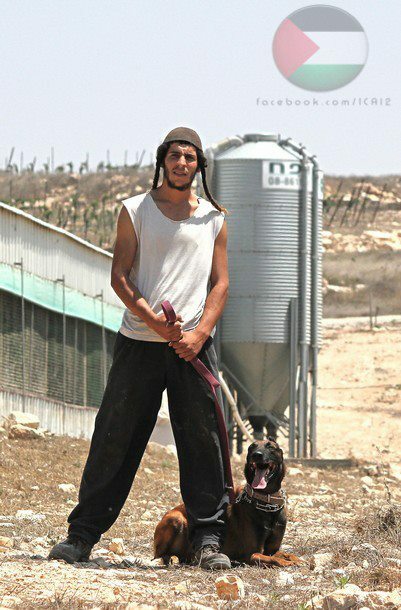 An Israeli settler from the illegal settlement of Susiya, south of Hebron, Tuesday unleashed his dogs at Palestinians in Khirbet An-Nabi, according to a local source. Ratib al-Jabour, coordinator of the Popular Committee against the Wall and Settlements in Hebron, told WAFA that a settler known for his hate of Arabs regularly attacks and terrorizes residents through unleashing wild dogs at them and grazing his sheep inside farm land to destroy the crops. 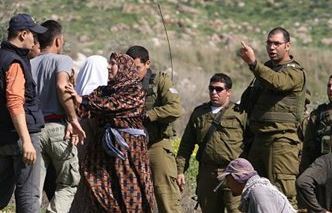 He said that settlers in that area keep targeting the residents to force them to leave their land in order to seize it. Local sources in occupied East Jerusalem have reported [Tuesday morning June 18] that a number of extremist Israeli settlers punctured tires of 28 Palestinian cars in Abu Gosh area in the city. 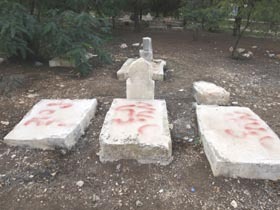 The settlers carried their attacks out during early dawn hours, and wrote racist graffiti, such as “Price Tag”, “Death To Arabs”, and “Arabs Out”, on a number of walls. It is worth mentioning that this latest attack took place a few days after Israeli Prime Minister, Benjamin Netanyahu, and his government, decided that the dangerously escalating Price Tag attacks carried out against the Palestinians, not only in the West Bank, but also in the 1948 territories, “are not acts of terrorism”. 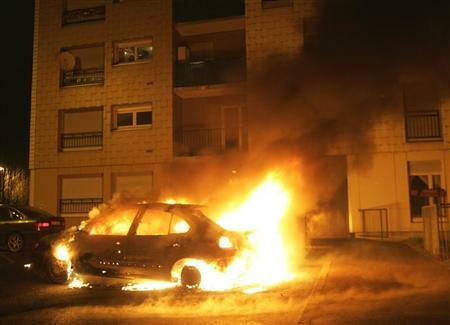 On Friday [June 7 2013] Israeli extremists burnt a Palestinian car in Sheikh Jarrah neighborhood. Price Tag is the slogan the settlers use in attacking the Palestinians and their property, including mosques, churches and graveyards. 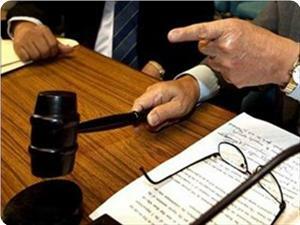 It refers to holding the Palestinians responsible for the Israeli eviction of some illegal outposts. A 75-year-old Palestinian woman has filed a complaint with Israeli police after being assaulted by three Israelis as she waited for a bus in West Jerusalem on Sunday, her son told Ma'an. 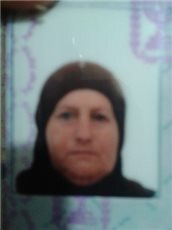 Fathiyeh Ajaj was waiting for a bus in Deir Yassin, now known as Givat Shaul, after a hospital appointment when she was pushed to the floor by three Israelis, who the son described as settlers. They tried to remove her hijab -- the Muslim headscarf-- and tore her clothes, the son said. "My mother fainted and the bus driver saw her, rushing to rescue her," he told Ma'an. Ajaj filed the complaint at the Jabal Mukabir police station, he added. The report follows the filing of two separate assault charges against an Israeli man after he attacked two Palestinian women as they tried to buy a ticket for the Jerusalem Light Rail. The UN has criticized Israel for a lack of adequate law enforcement against Israeli settler violence against Palestinians in East Jerusalem and the West Bank, which is on the rise. In 2012, one Palestinian was killed and approximately 1,300 injured by Israeli settlers or security forces in incidents directly or indirectly related to settlements, including demonstrations, the UN says. between 2005 and 2011 resulted in indictments. Israeli soldiers kidnapped an elderly Palestinian man, after a group of extremist Israeli settlers attacked shepherds in a Palestinian village, south of the southern West Bank city of Hebron. Local sources have reported that a number of settlers of Karmiel settlement, assaulted several Palestinian shepherds from Um Al-Kheir village, before the army invaded it. The sources added that an elderly man, identified a Suleiman Eid Al-Hathaleen, 75, was kidnapped by the invading soldiers. Furthermore, a number of settlers attacked dozens of local shepherds, and prevented them from entering grazing lands that belong to the village. The settlers have escalated their attacks against the villagers in Um Al-Kheir as they are trying to expand their settlement on nearly 500 Dunams (123.5 Acres) of Palestinian lands in the area. Jewish settlers including journalists from various media outlets broke into the holy Aqsa mosque in occupied Jerusalem on Sunday morning and strolled inside its plazas. 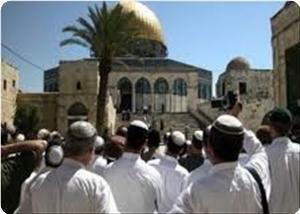 Eyewitnesses said that around 70 settlers provocatively roamed various plazas inside the holy site amidst tight security measures. 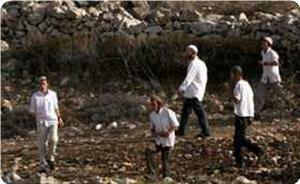 They said that the settlers were taking shots of various areas even the places where children memorize the holy Quran. Jewish settlers Sunday destroyed an olive trees field in southern Nablus as well as 25 olive trees in the village of Qasra, in southeast of Nablus, according to a local activist. Ghassan Douglas, who monitors Israeli settlement activities in the northern West Bank, said that settlers of illegal Aish Kodesh settlement built on Qasra and Qaryout villages, southeast of Nablus governorate destroyed 25 olive trees in the village of Qasra and a field of olive trees in the Southern Nablus Reef area. 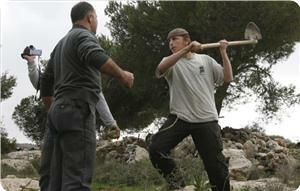 He added that the settlers also attacked Palestinian Ali Hasan’s home in Qasra after they destroyed the trees. This incident of settlers’ rampage comes following a previous one west of Nablus governorate where they set fire to tens of trees. 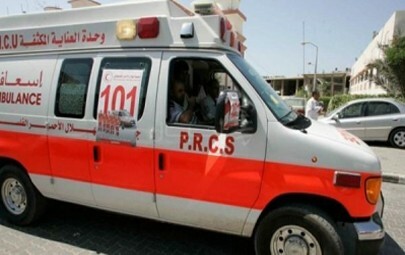 A Palestinian man was injured on Friday [June 14] in Jama’in town, near the northern West Bank city of Nablus, after being attacked by several Israeli soldiers during clashes that took place between local residents and extremist Israeli settlers. 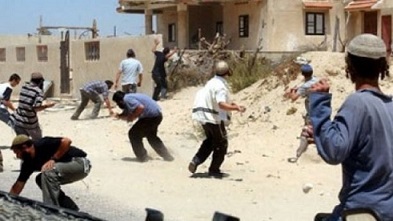 Eyewitnesses have reported that dozens of settlers gathered at a Palestinian land near the village, before several villagers tried to remove them. Dozens of soldiers arrived at the scene and tried to push the residents away, while some soldiers attacked resident Ghassan Baker, and struck him with their rifle-butts. He suffered various cuts and bruises, and was moved to a local hospital suffering moderate injuries. Palestinian sources reported Friday [June 14 2013] that extremist Israeli settlers set ablaze two Palestinian cars in Sheikh Jarrah neighborhood, in occupied East Jerusalem. 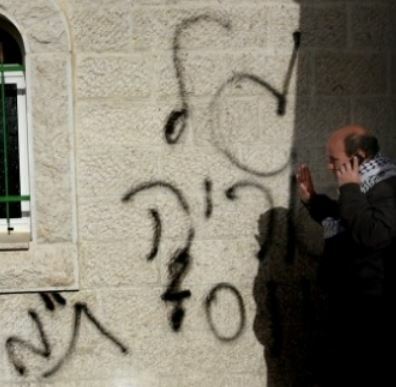 The sources added that the settlers also wrote “Price Tag” graffiti on a number of walls in the area. Israeli Channel 7 have reported that Israeli Police Officers arrived at the scene and initiated an investigation. The Police said they “believe” extremist settlers are behind the attack. Price Tag attacks are dangerously escalating in different parts of the occupied West Bank. They do not only target Palestinian lands and property, but also target Islamic and Christian holy sites and graveyards. A report published by the Israeli Police on Wednesday [June 12 2013] revealed that Israeli settlers carried out 165 Price Tag attacks against the Palestinians and their property, in the West Bank, and in the 1948 territories since the beginning of this year. Report: "Tel Aviv University Received Finances From Settler Group"
The Arabs48 News Website has reported that the Tel Aviv University is cooperating with right wing settler groups involved in excavations in Silwan Arab town, south of the Al-Aqsa Mosque, in occupied East Jerusalem. It said that the Elad settler group, involved is funding and financing settlement activities, is indirectly paying the salary of a Tel Aviv University researcher in charge of the excavations. 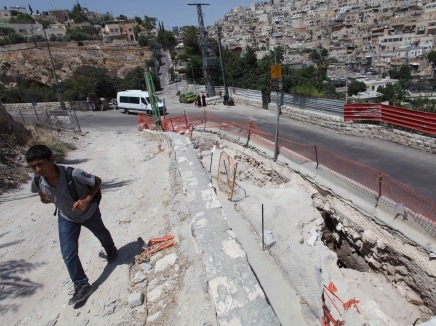 Israeli daily, Haaretz, reported that the decision of the Archeology Center at the Tel Aviv University to initiate excavations in Silwan caused a stir due to allegations of cooperation with extremist right wing settler groups. The Tel Aviv University claimed that the excavations are carried out in cooperation with the Israeli Antiques Authority, and “has nothing to do with the Elad group. Haaretz obtained documents indicating that the Elad group started the digging, has been directly involved in the issue since the beginning, and that the Tel Aviv University was not only fully aware of the issue, but knew that Elad was paying the salary of Tel Aviv University Archeologist, Yuval Gadot, who heads the excavations. It said that a meeting was held in November of 2012, just before the digging started, and that the summary of this meeting shows that Gadot, and the director of Elad, David Be’eri, and various officials of the Israeli Antiques Authority attended the meeting, and that Elad was granted a role in the digging. Elad was given various tasks, including providing workers mechanical tools and logistics, while an agreement that was signed between the Tel Aviv University and the Israeli Antiques Authority “commits the authority to pay Gadot 23.000 NIS per month for his work”, Haaretz said. The Tel Aviv University told Haaretz that it had no connection with Elad, and that, to the best of the University’s knowledge, the budged of the Antiques Authority comes from the government. The University said that the agreement states that the digging, the analysis and research are exclusive to its researchers, and that “it has no contracts, or relations, with Elad”. Yet, Haaretz revealed that the budget of the entire excavation work comes from Elad, as per an agreement between Elad and the Antiques Authority. The agreement states that Elad would pay 385.000 NIS for a 40-day exploratory excavation, but it continued to pay on regular basis. 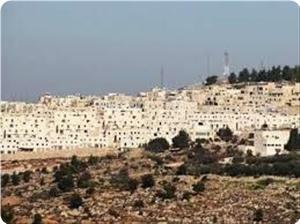 Furthermore, Haaretz quoted Yoni Mizrahi, of the leftist Emek Shaveh archeologist organization, stating that groups involved in the excavations in Silwan, even groups that deny political motivations, are part of the attempts carried out by the settlers to fortify their control of occupied East Jerusalem. He added that Tel Aviv University has been denying for months “whet everybody knew about their involvement and cooperation with the settlers." Elad responded to the issue by stating that it operates and develops the “City of David” project, in Jerusalem, and pays part of the cost of the archeological excavations carried out by the Israeli Antiques Authority. It also denied any role in relations between Tel Aviv University and Antiques Authority, and added that Gadot is licensed to excavate part of the area. The group claimed it does not interfere in the work of researchers. 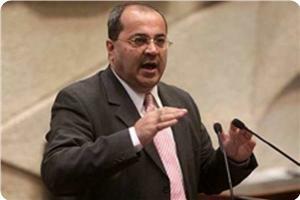 Arab Member of Israeli Knesset (MK) Jamal Zahalka of the National Democratic Assembly sent an urgent letter to Israel’s Minister of Internal Security, Yitzhak Aharonovich, demanding him to act on stopping the escalating “Price Tag” attacks carried out extremist Israeli youths. His latter came after a number of extremist settlers wrote racist graffiti on some graves at the Christian Greek Orthodox graveyard in Jaffa [on Wednesday at night]. The settlers wrote “Price Tag”, “Revenge”, and drew the Star of David on a number of graves, wrote more racist graffiti on a wall of a building inhabited by the head of the Orthodox Society in Jaffa, and even wrote graffiti on the wall of the home Khaled Kaboub, an Arab District Court Judge in Tel Aviv. Zahalka said that the Israeli government and the Police are responsible for the escalating attacks, due to the lack of adequate and effective measures against those groups of extremists. 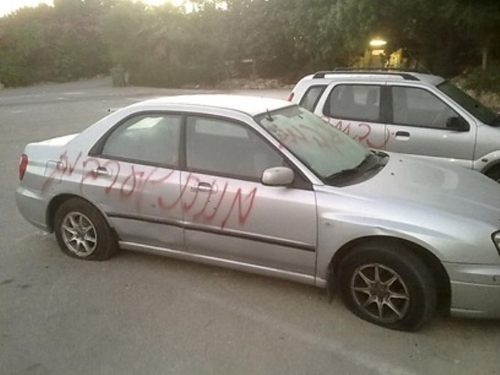 The Arab48 news website reported that more Price Tag graffiti was found on the walls of a number of Arab homes in Al-Jabaliyya neighborhood in Jaffa, while several tires of Arab cars have been slashed in the neighborhood. In his letter to Aharonovich, Zahalka said, “Jaffa has been targeted by various similar attacks, as mosques and churches have been defaced, desecrated and attacked, since a number of extremist settlers moved into the neighborhood, while the Police is failing to act”. “The indecisiveness, the lack of action by the Police, enabled representatives of those racist settlers to live in Jaffa, enabled the attacks against that Arab population, and holy sites”, the Arab MK added. Member of the Jaffa City Council, National Democratic Assembly member, Sami Abu Shihada, stated that the situation is Jaffa “could explode at any given moment”, and accused the Police of failing to act against the extremist Price Tag groups. “By failing to act, failing to apprehend those racists, and by failing to prosecute them, Israel is granting them a green light to continue their cruel and racist attacks”, Abu Shihada stated, “We demand the Police to act, seriously and decisively, to punish those fundamentalists”. Abu Shihada added that a procession will be held on Saturday [June 22] at the Old Market in Al-Ajamy neighborhood, “to protest a decision made by the so-called Israel Land Authority for allowing the settlers to build in the heart of the Al-Ajamy neighborhood”. Price Tag attacks are acts of violence carried out by extremist Israeli settlers against Arabs and Palestinians in different parts of the country. Price Tag attacks have been carried out against Churches, Mosques, Islamic and Christian graveyards, Palestinian lands and orchards [including burning and uprooting dozens of trees and farmlands], Palestinian property, and in some cases targeted Israeli peace groups. 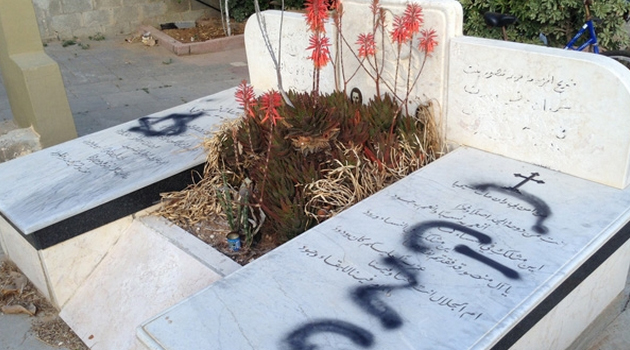 A number of extremist Israel settlers carried out another Price Tag attack, this time targeting a Christian Cemetery in Jaffa, and spray-painted “Price Tag”, and “Revenge” on tombstones. Israeli Ynet News has reported that more Price Tag graffiti were discovered on a residential building close to the cemetery, near the home of Khaled Kaboub, an Arab District Court Judge in Tel Aviv. 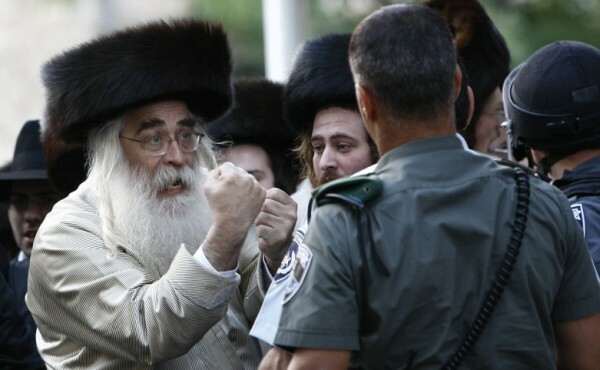 Jewish settlers attacked two Jerusalemites, including a 60-year-old woman and a young man, while walking opposite the Maghareba gate in Silwan. Majd Halisy said on Wednesday that six settlers attacked his uncle’s wife Hayam Halisy, 60, and a young man using pepper guns and sharp tools. 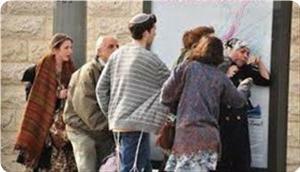 He said that the settlers, 17 to 30 years in age, also used a knife in attacking the young man. In another incident, Halisy said that a group of four settlers broke into his home and that of his cousin in Silwan and when he shouted at them they ran away. He added that he tried to follow them but he saw them chase another Jerusalemite with knives in their hands. 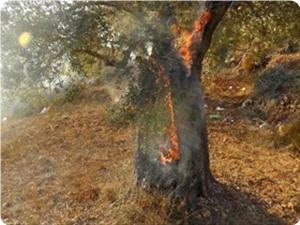 Jewish settlers torched olive trees near Nahalin village, west of Bethlehem, on Tuesday night. Eyewitnesses said that settlers from Beitar Illit settlement, established on village land, started the fire in the olive fields. They said the blaze destroyed more than ten olive trees in Khirbat Al-Deir near the village before the inhabitants could put out the fire. Ahmad Salah, coordinator of the popular committee against the wall and settlements, warned of the escalated Israeli construction of settlements and housing units in Al-Khader town and the surrounding villages. Extensive building work was launched in Khallet Al Ain area in Al-Khader town to establish a "Jewish Synagogue". Salah confirmed on Monday that the construction of the synagogue began on a land of more than 1000 square meters that belongs to Salah's family. In the same context, settlers, from Eliezer settlement built on Palestinian lands, have established a new building with very elaborate old design inspired from “Jewish Archaeology and History” in an attempt to create a Jewish heritage in Palestine. Salah warned of settlement expansion and land confiscation in different parts of Bethlehem city, saying that settlement construction in the al-Khader town is a continuation of Israeli plans to control the whole area. He confirmed that many Palestinian lands in Bethlehem were confiscated and seized by Israeli authorities under various pretexts in the framework of implementing "the Greater Jerusalem project". Israeli forces Judaization campaigns and brutal practices against Jerusalemites aiming to displace them from the holy city continue. 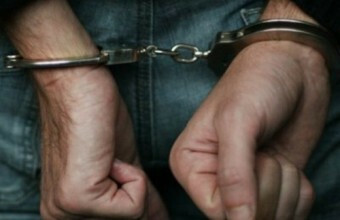 The Israeli Magistrate's Court imposed a 13-thousand-dollar sum against the Jerusalemite Daoud Siam, 35, for his alleged attack on an Israeli settler who tried to confiscate the house of Siam's grandfather, Wadi Hilweh Information Center revealed. Siam told the center that the court issued a decision in absentia on Sunday asking him to pay a 13-thousand-dollar sum to the Israeli settler who claimed to have been assaulted by Siam. The case dates back over four years, Siam said. In 2009, four Israeli settlers tried to break into the house of Siam's grandfather in Wadi Hilweh in Silwan while no one was home. 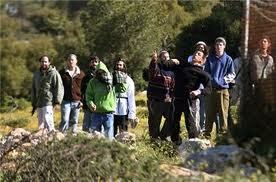 When Daoud arrived one of the settlers instantly raised his gun and then they withdrew after verbal altercation. Siam was then arrested and detained for 24 hours and a fine of 1,500 shekels, and 150 hours of community service, in addition to 3 years imprisonment with a stay of execution for 6 months. According to the court's decision, the first sentence was a compensation to the public right, however the new order is a compensation to the settler. The Israeli police has released on Monday two Jerusalemite youths on deportation order for 3 days from their houses and work places. Muhammad Ghaith, 23, and his friend Ali Kiresh, 21, have submitted a complain in a police station against an Israeli settler who threatened them with a knife, however they were surprised that the Israeli settler has complained against them claiming that they tried to hit him with a metal object. 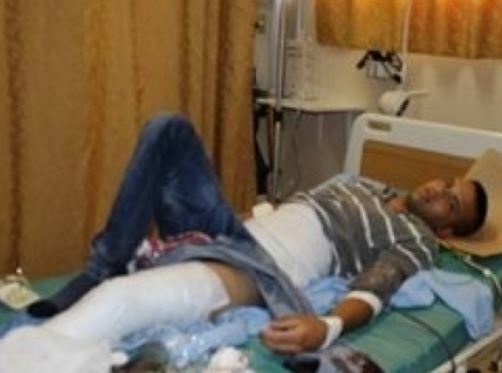 Ghaith said that the Israeli settler belongs to the Israeli settlement Assembly Elad where he hit him and tried to stab him with a knife but the neighborhood residents intervened. The Israeli police released Ghaith and his friend on fine of 3 thousand shekels and a deportation order for 3 days. Hundreds of Israeli settlers raided Jospeh's Tomb east of Nablus, under the protection of Israeli soldiers, to perform their religious rituals. 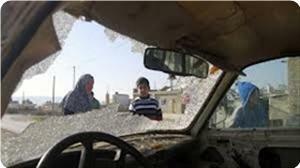 Security sources said that more than nine buses broke into Balata refugee camp, east of Nablus, and confrontations erupted between Palestinians and Israeli forces that fired rubber-coated bullets and tear gas canisters toward the residents, injuring three of them. Their injuries were described as slight. Firefighters were called to the scene to put out the fires. When police arrived, the attackers fled the scene.